Yin Yoga is a slow-paced practice, where poses are held for 3 to 5 minutes. It's a wonderful style of yoga to unwind and release, and is a perfect balance to the more dynamic yoga practices. The poses are predominately floor-based, using the support of props, as needed. 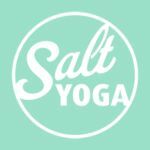 Yin Yoga is designed to stretch and work the connective tissues – ligaments, tendons and fascia – within the body to help improve flexibility and mobility, whilst cultivating mindful awareness of the mind and body. This style of yoga is suitable for all levels of experience. It is especially beneficial for those living a fast-paced, busy lifestyle (yang style! ), as well as anyone wanting to release tightness within their body. You will leave the class feeling lighter, more open, and completely blissed out!